MR76: In this week's episode, I talked with Erica (Braswell) Speegle. Erica has been running for a long time with her biggest accomplishment was to qualify for the 2016 U.S. Olympic Marathon Trials. Due to many reasons, she had to drop out during the race. In this episode, you can hear Erica's story about her Olympic trial disappointment and bounce back to set state records. In this episode, Erica and I talked about: -Erica's running journey -Training tips and suggestions -Olympic trail -Fast training and racing -Coaching -Much More Eira's Bio: ​Erica (Braswell) Speegle was born and raised in Birmingham, Alabama. She got her start running for Oak Mountain Middle School and running local 5k's on the weekend with her dad. After a successful high school career at Pelham, she headed to Auburn University, where she was multiple times All-SEC on the track. Since graduating from Auburn her focus has been road racing, with a gradual drift from 5k towards the marathon. She has recorded back-to-back top-20 finishes in Chicago - 2:46:53 (16th - 2012) and 2:45:23 (19th - 2013). She placed 10th in the 2013 California International Marathon with a time of 2:41:17, qualifying her for the 2016 U.S. Olympic Marathon Trials. 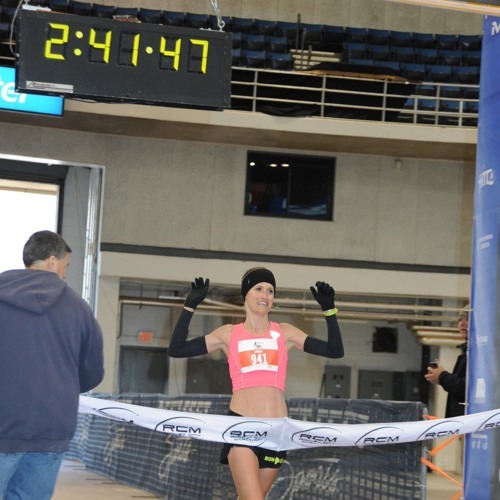 She bettered her PR and achieved her 2nd 2016 Olympic Trials qualifying time by grabbing 10th place at the 2015 Grandma's Marathon with a time of 2:39:34. She coaches for Cadence Run Coaching(www.cadenceruncoaching.com) and her coaching philosophy is heavily influenced by her older brother, Jason Braswell. Jason is the owner of Big Island Running Company(www.bigislandrunningcompany.com) in Kailua-Kona, Hawaii, and has served as Erica's coach for the last 10+ years. PR's 5k - 16:44 10k - 34:20 Half-marathon - 1:15:28 Marathon – 2:39:34 Music by: bensound.com Podcast interview with Cary Morganhttps://soundcloud.com/marathonruns/mr42 Enjoy and Share the episode!